Wanna switch to a new iPad? The best choice may be iPad Air 2 if iPad Pro is a bit large for you. Hold your horse, the new Apple iPad Air 3/new Pro came out. What are advantages and disadvantages of the new tablet? Is it really worth your wait? Read the iPad Air 3 pros and cons, and make a well-informed decision about which iPad to buy. MacX MediaTrans lets you backup iPad important files, including movies, TV shows, videos, photos, music, to Mac and transfer them to new iPad speedily. It also allows you to manage music, videos and photos in a simple way. The new iPad Pro/iPad Air 3 uses the same display components as the 12.9-inch iPad Pro that's 40 percent less reflective and 25 percent brighter than the display in the iPad Air 2. It also has a wider color gamut with 25 percent greater color saturation for more vivid colors. 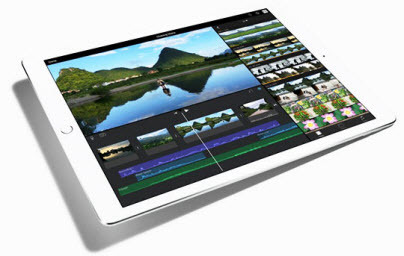 For film fans, it is one of the most appealing 2016 Apple new tablet for freely enjoying HD movies. The new iPad Pro sees impressive speed enhancement thanks to A9X processor. It is worth noting that the iPad Air 3 will be faster. This is because Apple will use a more powerful and efficient 14nm process on iPad Air 3. But there's less chance iPad Air 3 has advantages over Windows 10 2016 tablet Surface Pro 5 in processor. Who says a good camera is an unnecessary feature for a tablet? The new iPad Pro has an improved 12-megapixel camera which is the same camera used in iPhone 6s and the iPhone 6s Plus, with support for 5K video, 63-megapixel panoramas, and Live Photos. Apple also improved facing camera and introduce the 5-megapixel FaceTime HD camera with a front-facing Retina Flash feature. The improved front-facing FaceTime camera is definetly another iPad Air 3 advantages over iPad Air 2 and iPad Pro. Stronger battery is one of new iPad Pro advantages, and Apple will continue the advantage in iPad Air 2 to win the best tablet of 2016. According to reports, the next-gen pad used 14nm process A9X processor. It eats up less battery, and thus extends its battery life. You'll get plenty of other advantages of iPad Air 3, Force Touch, USB Type-c, smart keyboard, Apple Pencil and better sound effect. Apple won't use 3D Touch, but Force Touch tech would be applied to the new iPad. iPad Pro ships with USB 3.0-compatible Lightning connector, however, we might see a USB Type-c connector in iPad Air 3, the same with MacBook. Another pro may come to Apple pencil, smart keyboard from iPad Pro and fantastic sound effect. 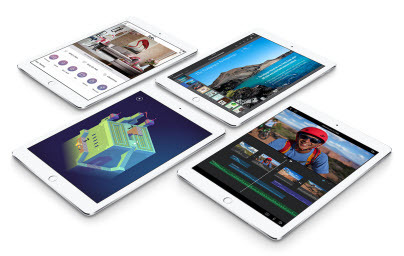 iPad Air 3 has lots of movie and music apps that can stream media content online, however, none of them provides opportunities to download movies songs free for offline playback. A solid video downloader, MacX Video Converter Pro can help you evade this disadvantage. It can download songs, videos, and movies at resolutions of 720p, 1080p, 4K UHD free from YouTube, Vevo, Vimeo, SoundCloud, Dailymotion, and other 300+ sites in fast speed. You can also convert video to iPad iPhone Android with no quality loss. 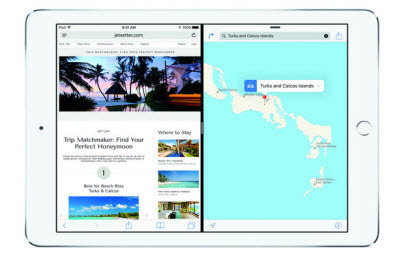 3D Touch display is a great innovation in 2015 Apple iPhone 6s and iPad Pro. However, due to Apple's supply chain, the 2016 Apple product won't have the new 3D Touch, but Force Touch instead. For Apple fans who are addicted to 3D Touch, it may becomes a big iPad Air 3 disadvantage, but if you are not used to using 3D Touch, the Force Touch can be used. 2015 Samsung flagship galaxy S6 has wireless charging, and the new charging tech is introduced into iPhone 7/Plus. Wireless charging brings convenience, but the new iPad Por/iPad Air 3 hasn't wireless charging. However, I don't think it matters much in the iPad Air 3 advantages and disadvantages comparison. iPad Air 3 is available in three different storage capacity, 32GB, 128GB, and 256GB, which is enough for movies, videos, and apps. But it could be nice if the storage baseline is increased. In the 2015 iPad Pro vs Surface Pro 4 battle, the Windows 10 Surface Pro 4 has up to 1TB storage and comes with MicroSD card, wining over iPad Pro as well as iPad Air 3. If you require large storage, iPad Pro 9.7 has its disadvantage. Though iOS 9 features Split View, with which users can use two apps, Windows 10 vs iOS 9, Windows 10 Snap Feature allows users to use four apps at once.This function may be improved in iOS 10, but since iPad Air 3 may come out in March 2016, it is unlikely to run iOS 10 and benefit from iOS 10. There are other minor iPad Air 3 disadvantages we'll add here. Apps focuses on fun, games and entertainment, lacks desktop program, like Photoshop supported by Surface Pro 4, the Mircosoft Excel and other office tools are not as robust as desktop software. The 4K UHD display is definitely great, however, the iPad Air is not able to play UHD video in any format, supported video format is still limited to MP4, AVI, MOV, M4V, some commonly used format, video converter is needed for iPad Air 3 to play MTS, M2TS, MKV, FLV etc. file. Should you upgrade to new iPad Pro/iPad Air 3? It only gets some hardware upgrade. The 4K UHD screen is the most appealing part for watching videos. An improved camera is a big pro, but in fact, phones always do the job of taking pictures. iPad Air 2 is enough for daily entertainment, and the price of iPad Air 2 will reduce a lot after new ipad release.